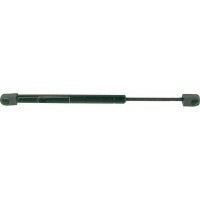 These popular stainless steel replacement gas springs offer more durability than ever before. The pr..
90 deg gas lift mount-narrow Mtg Hole: 2A: 2.00"B: .650"Type: C: 1.12"Finish: Stainless Steel..
90 deg gas lift mount-wide Mtg Hole: 3A: 2.00"B: 1.20"Type: C: 1.45"Finish: Stainless Steel.. Flush gas lift Mtg Hole: 3A: 2.25"B: .500"Type: Flush mountC: 1.45"Finish: Stainless Steel.. Unique multi-lobe seal. Heavy gauge steel body, hard chromium plated shafts, bronze bushings and pol..
Gas lift ball stud-10mm Mtg Hole: -A: 10 mmB: .66"Type: Gas lift ball stud - 10mmC: .54"Finish: Stai..
10 Extended Length 40 Pound Nauralift Gas Lift Support Marine Gas filled support Annealed steel rods..
12 Extended Length 20 Pound Nauralift Gas Lift Support Marine Gas filled support Annealed steel rods..
Marine Gas filled supportAnnealed steel rods nitride coated for corrosion resistanceEngineered polym..
15 Extended Length 20 Pound Nauralift Gas Lift Support Marine Gas filled support Annealed steel rods..